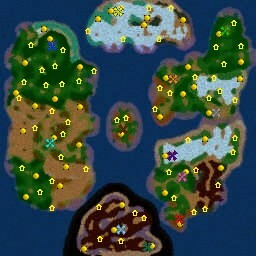 A melee map of the world of Warcraft. You can build ships and make alliances in game. Trees regrow. Map made by the original maker of the map The World of Azeroth (Le Monde d'Azeroth) : Prêtre-Elfe, now called Sacha.